Who doesn’t love ranch dressing ? I used to make a dinner for my picky toddler called dippin dinner. I could feed him whatever and he’d eat it if he could dip it in ranch dressing. I’ve always had a problem with how commercial ranch dressing tasted, like it had MSG in it, which most do. 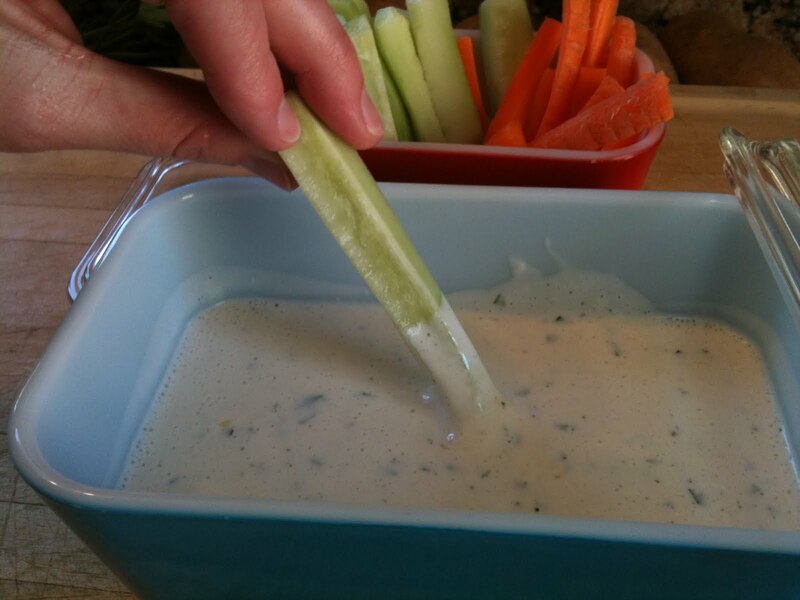 After messing around I came up with this recipe for fresh creamy ranch like dressing. The clincher is the KEFIR, a cultured milk that taste like yogurt milk, kind of sour, but still rich and creamy, with all the benefits of live cultured yogurt. 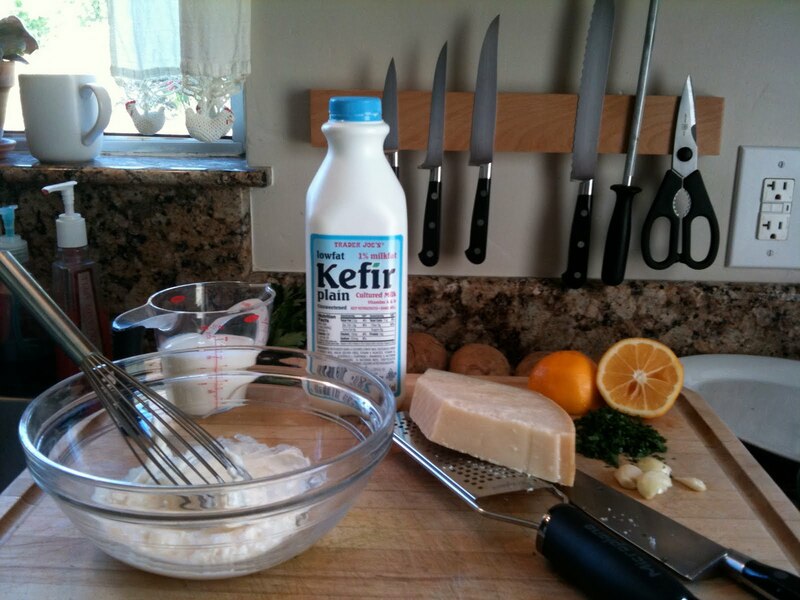 Kefir can be found in health food stores and some regular grocery stores. It can replace standard sour cream in a lot of recipes, its also great for smoothie’s. Buy it, you’ll like it. Kefir rules ! 1/3 cup Mayo – don’t f*ck around use Best Foods mayo, it’s the best. 2-3 cloves of garlic- finely chopped or use garlic press- if you’re not a fan of garlic you can use shallots. 1/3 cup finely grated Parmesan Reggiano – again don’t f*ck around, get the good stuff and grate it yourself. 2 tsp fresh lemon juice – Meyer Lemons if you can find them. Makes about 2/3 cups of dressing. Blend all ingredients with a hand whisk and chill until service. Will keep for 3-4 days in the fridge. Pour over a wedge of iceberg lettuce with chopped tomato, red onion & bacon crumbles or serve as a dip with fresh cut veggies. This entry was posted in Dressings by Sarah. Bookmark the permalink. >Ha! Best Foods Mayo only way to go! I love this recipe, thank you! >I am going to use this from now on. I have to change my diet and this is one that will substitute the awful corn syrup dressings out there. And yes, Kefir is great. Being a Mayo expert, I agree with the Best Foods Mayo. Here's a diet health tip: If you cannot eat soy. Try Best Foods Mayo with Canola Oil as an alternative. >Tooooo delish!! I can't get enough of the stuff! !